Be the first to share your favorite memory, photo or story of Isabelle. This memorial page is dedicated for family, friends and future generations to celebrate the life of their loved one. Isabelle Mary Hoffman was born on June 27, 1939 in Chicago, Illinois to Pat and Isabelle (nee Gillio) Perrone. 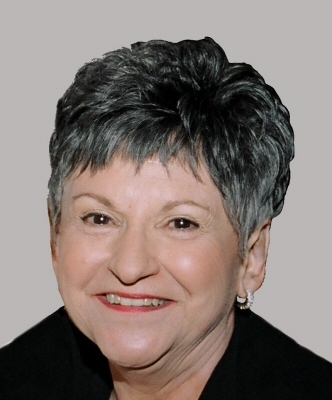 She died Saturday, April 13, 2019 at JourneyCare Hospice in Barrington, Illinois. She was surrounded by her family. Isabelle was a stay at home Mom before becoming employed as the Head of Collection Support for Arlington Heights Memorial Library. Isabelle was a longtime volunteer for the Arlington Heights Festival Committee for Frontier Days and had been active in the PTA at Olive Mary Stitt Elementary School. She enjoyed the arts, travel, cooking and she especially loved spending time with her granddaughters, Sienna and Samantha. Belle is survived by her high school sweetheart and husband of 58 years, Bill; her children Nicole (Sam) Makhlouf, and Billy Hoffman; her granddaughters, Sienna Isabella and Samantha Grace Makhlouf; her brother, James (Darlene) Perrone; her aunt, Viva Gillio (the late Rocco Gillio); and her many cousins, nieces and nephews. Visitation from 3:00 pm until 8:00 pm, Tuesday, April 16, 2019 at Glueckert Funeral Home Ltd., 1520 North Arlington Heights Road, Arlington Heights, Illinois. Prayers 9:15 am, Wednesday, April 17, 2019 at the Funeral Home, proceeding to St. James Catholic Church, 831 N. Arlington Heights Rd., Arlington Heights, Illinois for Mass at 10:00 am. Interment private. In lieu of flowers, memorials may be given to The Friends of the Arlington Heights Memorial Library, 500 N. Dunton Ave., Arlington Heights, IL, 60004, http://www.ahml.info/ or to St. Jude Children's Research Hospital, 501 St. Jude Place, Memphis, TN, 38105, www.stjude.org/donate. 831 N. Arlington Heights Rd. "Email Address" would like to share the life celebration of Isabelle Mary Hoffman. Click on the "link" to go to share a favorite memory or leave a condolence message for the family.